Waikiki's War Memorial Natatorium was built as a monument to World War One. Despite being annexed by the United States only 19 years earlier, people in Hawaii embraced the war effort. Thousands volunteered for service in the military and on the home front. Queen Lili’uokalani led a territory-wide drive to knit wool socks and bandages. The largest mobilization of the Hawaii National Guard in history was called. By the end of fighting in 1918, more than 100 people from Hawaii had been killed in The Great War. Shooting stopped on November 11th, 1918 – on what became known as Armistice Day and is now Veterans’ Day in the U.S. This Sunday is the 100th Anniversary of the World War One armistice and commemorations are being held across the nation. 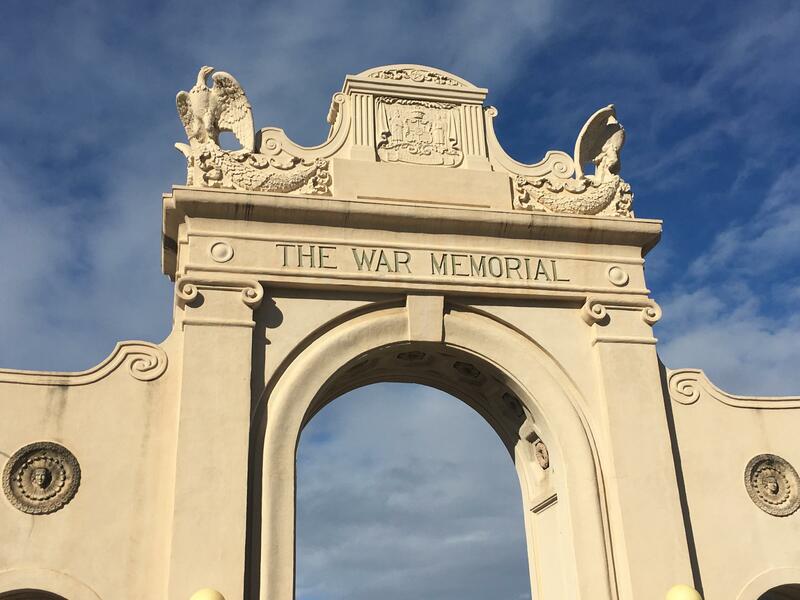 Hawaii’s celebration will be taking place at the War Memorial Natatorium in Waikiki. Ahead of the ceremony a 100th anniversary plaque was unveiled. HPR’s Ryan Finnerty was there and spoke with Retired Army Lieutenant Colonel Curtis “Manny” Manchester. He was part of the Hawaii World War One Centennial Task Force and shared some of Hawaii’s little-known history in The Great War.